Yaaay!!! Both my husband and myself are born in year of the Tiger, which constantly amazes us as we are a complete generation apart in age (12 years). 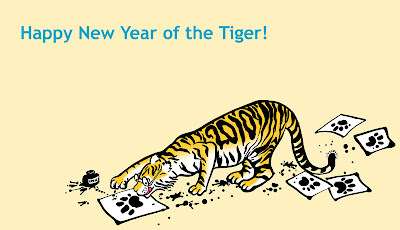 Although much to my disgust I somehow I hadn't noticed that 2010 was year of the tiger. Thanks for the reminder.